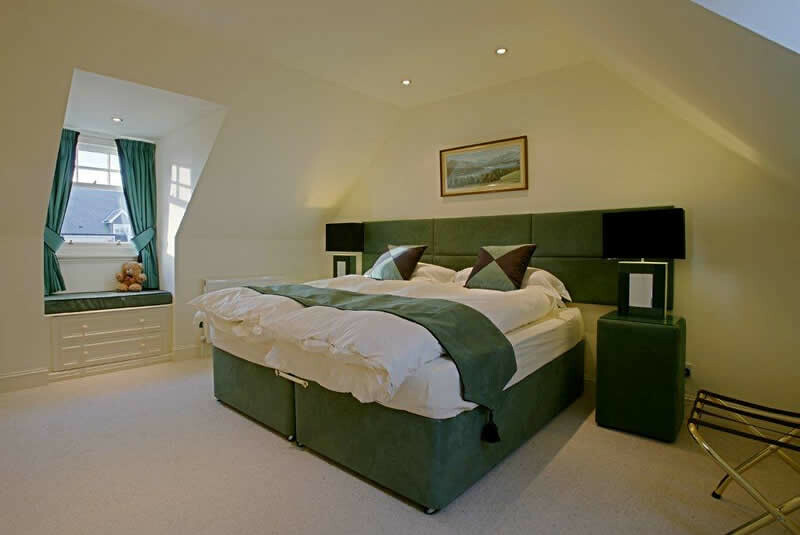 Apple House, sleeps up to 5 persons, 3 bedrooms. Lovely renovation of a red sand stone building, into a quality home, with fantastic views for your Peaceful Rural Retreat for the visitor who appreciates freedom, quality, space and rolling countryside. Wonderful location, yet within easy access of major towns and cities. On the Edge of Loch Lomond and Trossachs National Park. 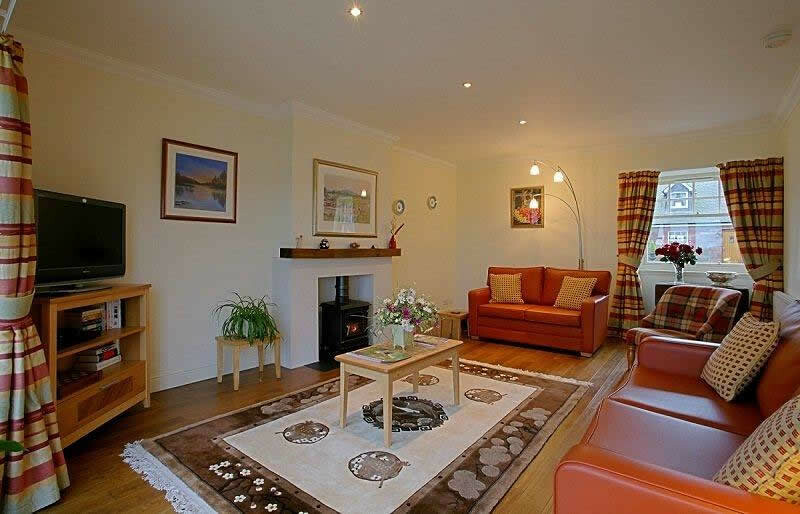 Suitable for families, interested in cycling, castles, golf, history, scenery, walking, whisky tasting, attending a wedding, visiting relatives,genealogy, or just chill out in this quality home overlooking Campsie hills and the Endrick Valley. 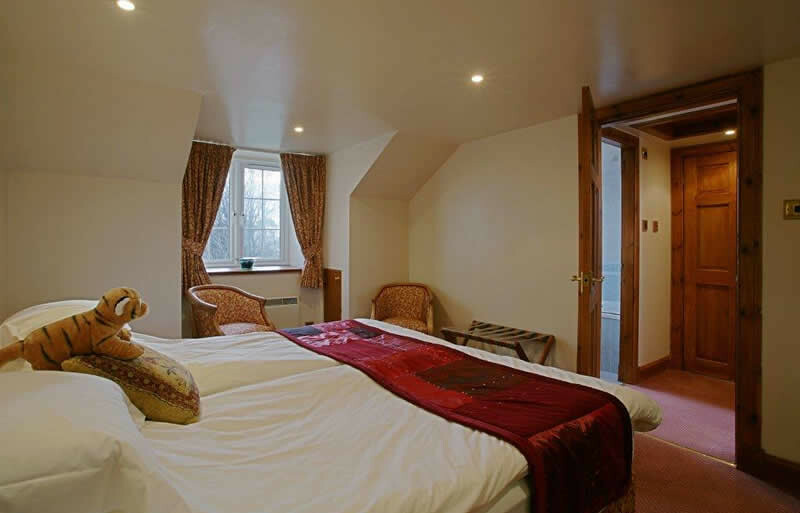 Inside the accommodation consists of large spacious rooms with fantastic large kitchen/dining area, sitting room has large patio doors on to the garden. 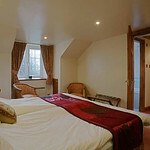 There are 3 double bedrooms giving you plenty of space to holiday here with your friends and family with summer just round the corner there is not better place to be or perhaps your winter retreat. 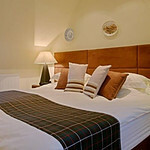 Your choice of Super King sized beds, or singles, large spacious rooms. One bedroom benefits from the tiled en-suite shower room. The other shares the tiled family bathroom with shower over bath. 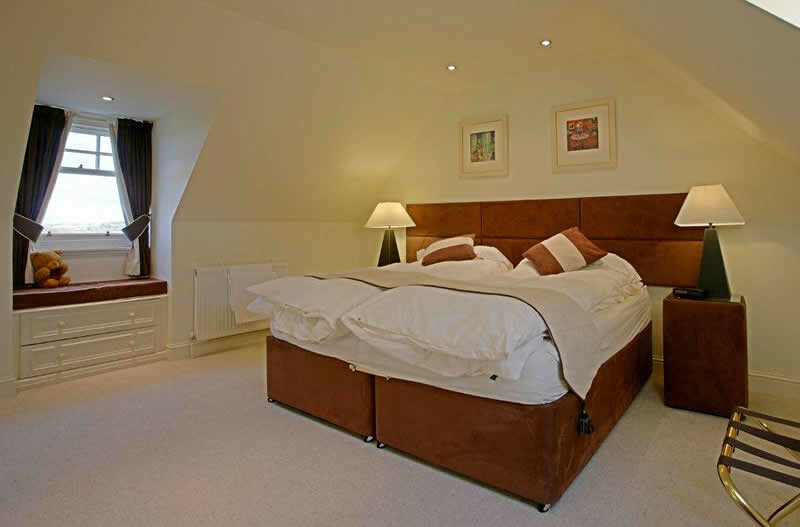 Cream carpeted stair and upstairs bedrooms, blinds and drapes on all windows. Allergy free duvets and pillows. Shaver Points, hair dryer, private safe. 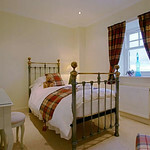 Towels, bed linen and bath robes supplied. Hallway quality wooden floor leading into Sitting room. 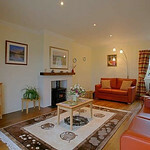 Sitting room, quality lined drapes, gas log effect stove, comfy sofas, tables, lamps, pictures,rugs,plants, Sony TV free sat, DVD, games, small library, magazines information folder. French doors leading to patio with patio furniture and topiary, where you can relax and enjoy that glass of wine/tea/coffee/or just enjoy the fantastic views. 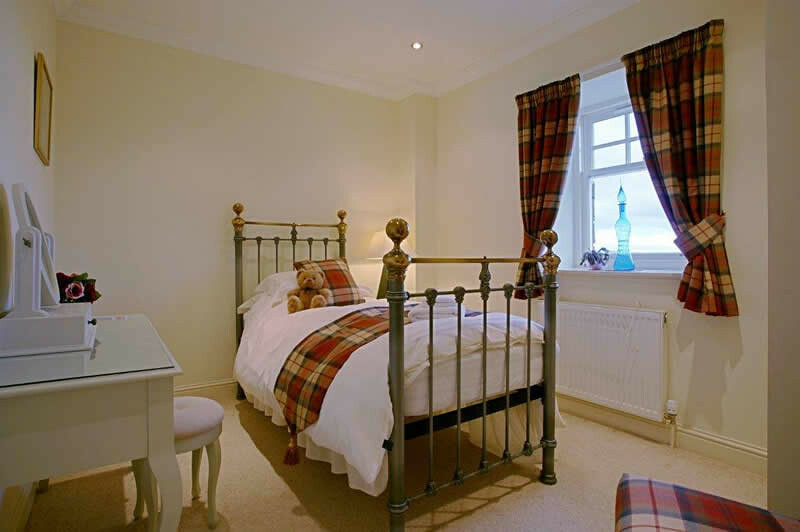 Downstairs single bedroom with brass bed, lovely tartan drapes and tartan chair. Kitchen, utility room and downstairs toilet quality fittings and quality tiled flooring. 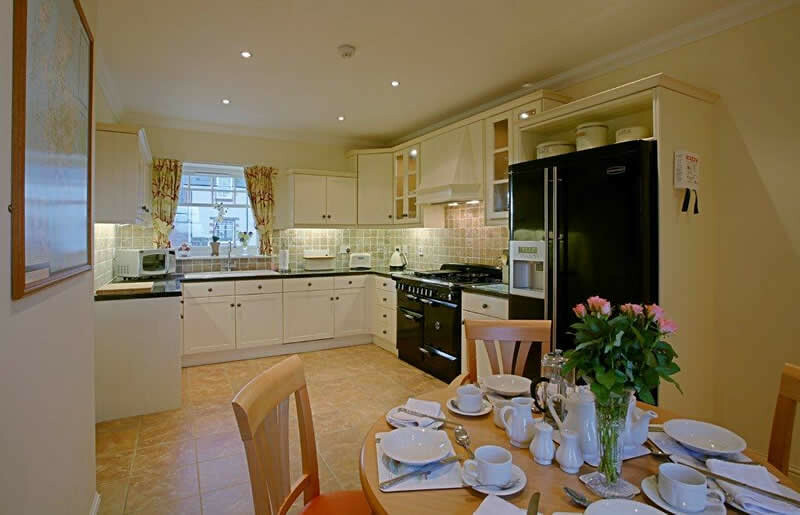 Large dining kitchen, with round table and chairs, cream shaker style units, rangemaster gas cooker, American style fridge/freezer, dish washer, microwave, good quality crockery, pots, pans, cutlery, plain and crystal glasses, iron and ironing board. 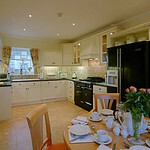 All mod cons expected of a modern day kitchen plus a fantastic view over green fields. Separate tiled utility room with LPG gas boiler, washing machine, tumbler dryer, sink and boot tray. High Chair, travel cot, and I pod docking station, lock- up for cycles, available if required state on booking. Included free leisure club facilities 17m swimming pool, sauna, steam room, jacuzzi, gymnasium offering you treadmills, rowers etc. Haven Spa extra charge. Wi-fi available small charge for security code. Lock – up available for bikes if required. Please do not take bicycles into the houses, you will be responsible for any damage and redecoration work required . 24hr. Card Machine Petrol Station, three miles, Shearer’s Garage, Buchanan Street, Balfron G63 0RN. Parking for two cars. Sorry No Smoking and No Dogs.